Located in the Midwest with a population of approximately 3.1 million, Iowa is not considered a “hot bed” for gambling. Just the same as many states, there are casinos and racetracks located throughout the state. This gives players the ability to get involved with gambling, without breaking the law and risking punishment. 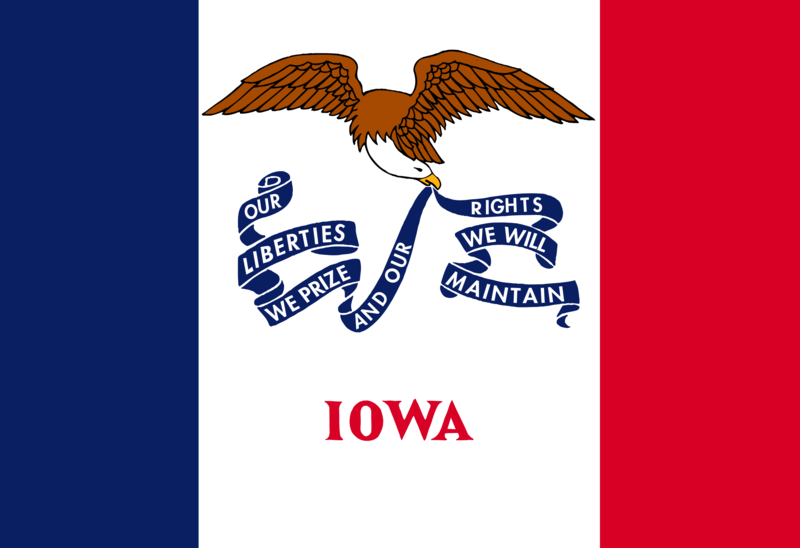 What is Allowed in Iowa? There are land based casinos and racetracks offering people the opportunity to gamble in the Hawkeye State. Recently, the state’s lottery CEO made a push to legalize the sale of lottery tickets online. Not only could this soon become legal, but it gives hope that fantasy sports and online gambling could follow suit. Popular online gaming sites, such as King.com, are legal in the state. Read the King.com Review to learn more! What’s Not Legal to Play in Iowa? Online and offline sports betting is not permitted in Iowa. Furthermore, online gambling of any kind is illegal. Iowa is also one of six states that does not permit participation with paid fantasy sports. A good alternative to sports betting, fantasy sports, and online gambling is horse betting, greyhounds, and land-based casinos. In 44 states, fantasy sports is an alternative to sports betting and online gambling. However, this is not the case in Iowa as fantasy gaming is currently prohibited. This may change in the future as the Senate recently passed a bill in favor of legalizing fantasy sports. It will now to go the House for a final vote. Players can enjoy playing on social gaming sites like King.com as a good alternative. Despite its opposition to fantasy sports, Iowa is typically on the forefront of new ideas. This appears to be the case with online poker, as the state continues to look for ways to bring this game to its millions of residents. A recent measure regarding the legalization of online poker will head to the Iowa Senate State Government Committee. If passed, online poker in the state would be regulated by the Iowa Racing and Gaming Commission, just the same as land based casinos. These casinos, among others, provide players with access to slot machines and table games, such as poker, craps, blackjack, and roulette. There are approximately 25 land based casinos in Iowa. Despite the fact that the laws on fantasy sports and online gambling are strict in Iowa, there appears to be some flexibility by the state. Residents are looking forward to the day that these laws change, granting them access to legalized fantasy sports and online gambling. The state already permits land-based casinos to do business, and is looking into expanding lottery sales to the internet. This should help in the near future in terms of legalizing fantasy sports, online poker, and online casinos.